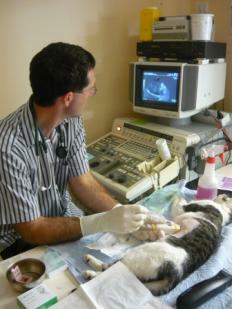 The ultrasound service available at Halifax provides great benefits for your pet. Ultrasound is non-invasive and painless, just like the pregnancy scan in humans. It enables us to see the inner detail of organs like kidneys and liver which would be just a grey blob on an Xray. It shows movement in real time too, so the contraction of the heart muscle and the opening and closing of heart valves can be studied. A tool called ‘colour flow Doppler’ means that even the speed and direction of blood flow can be assessed. Chris Welland and Todd Halsey have gained excellent skills in ultrasonography and have been involved in this field for 20 years. We have updated our machine and expanded the range of probes. 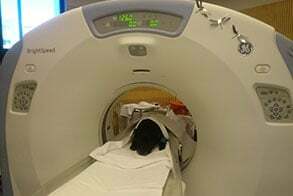 Ultrasound is used routinely at Halifax Veterinary Centre to do full abdominal checks including liver, kidney, spleen, prostate, and bladder problems. It is invaluable in assessing fluid in the abdomen and to find internal cancers. Without ultrasound it is often necessary to do exploratory surgery. At Halifax unnecessary exploratory abdominal surgery is truly minimised. 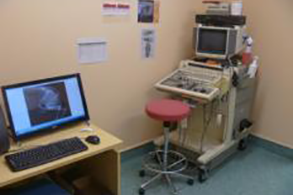 Echocardiography is the name given to the use of ultrasound to investigate heart problems. 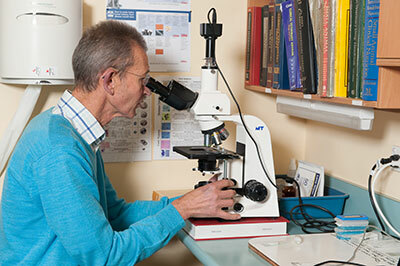 This is a specialist area in its own right, but an invaluable diagnostic aid in all cases where heart disease is suspected. If you would like to know more about the risks of heart disease in cats then click on the following article link (HyperHearts) to read more. It is impossible to properly evaluate heart disease without ultrasound, and this is especially true in cats. Heart disease is very common in cats, especially disease of the heart muscle but is under recognised.